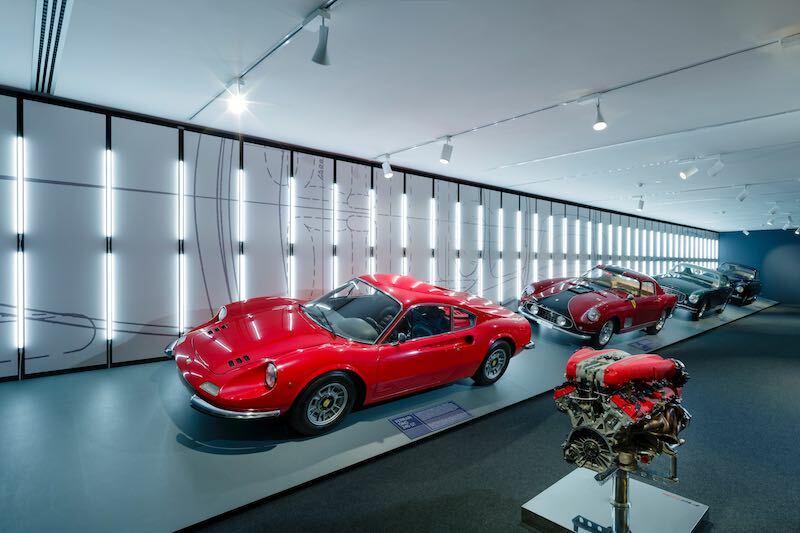 On the 120th anniversary of the founder’s birth, the Ferrari Museum in Maranello, Italy pays tribute to his passion for cars with the “Driven by Enzo” and “Passion and Legend” exhibitions, which retrace the countless developments in style and technology over the company’s history. “Driven by Enzo” shows off the four-seater models driven personally by Ferrari. As is well-known, Enzo Ferrari used to try out every car produced at Maranello himself, but not all of them were for day-to-day driving. On his daily journeys, he particularly loved four-seater cars because of their combination of comfort and sportiness and often ferried around his illustrious visitors in them. His passion for these cars began with the 1960 Ferrari 250 GT 2+2 and continued for the rest of his life with the 400 GTi, the 412, and finally the Ferrari 456 GT, a car he personally approved in 1988. “Passion and Legend” is the story of Enzo Ferrari and his company, retraced through cars and images. Ferrari is the transposition into the real world of its founder’s vision and his love for cars, as we can see in this exhibition of seven decades of the most beautiful cars. Then we find the 166 Inter of 1948, the first Ferrari mainly for road use, the Ferrari 250 GT Berlinetta “Tdf” of 1956 and again the Dino 246. The exhibition carries on down to the cars of today such as the F12tdf and the 812 Superfast. With the help of two interactive stations, the exhibitions also allow enthusiasts to discover the most important 2+2 cars in the company’s history and to take a virtual tour of today’s production facilities.